Fashion, travel, style, and more. 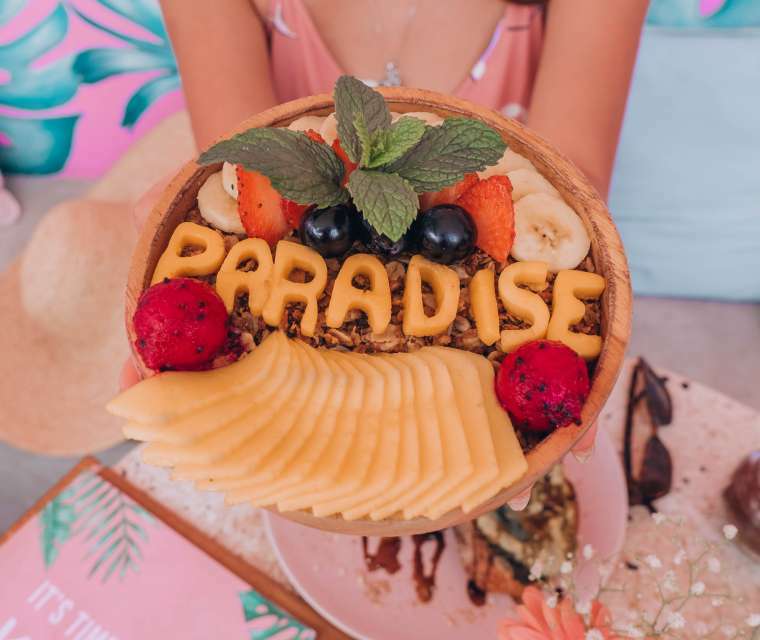 Tucked away out of the busy Seminyak city of Bali, lies another beachside paradise that is a perfect combination of both relaxation and ambience. Sanur is located on the east side of Bali and is known for being one of the island’s first beach resorts. I’ve heard so many amazing stories about the place for it’s ambience, so I knew I definitely had to put it on my list! 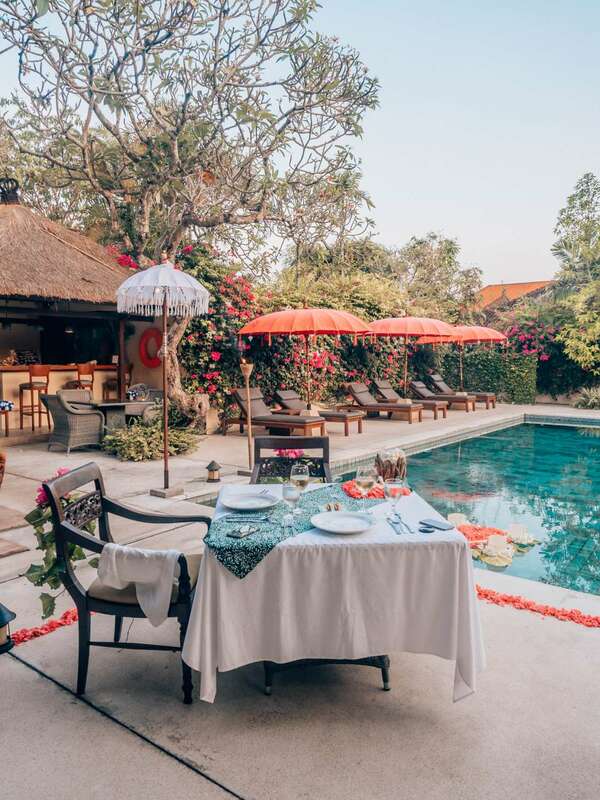 Shad and I were so lucky to be hosted by The Pavilions Bali during our little visit to Sanur. 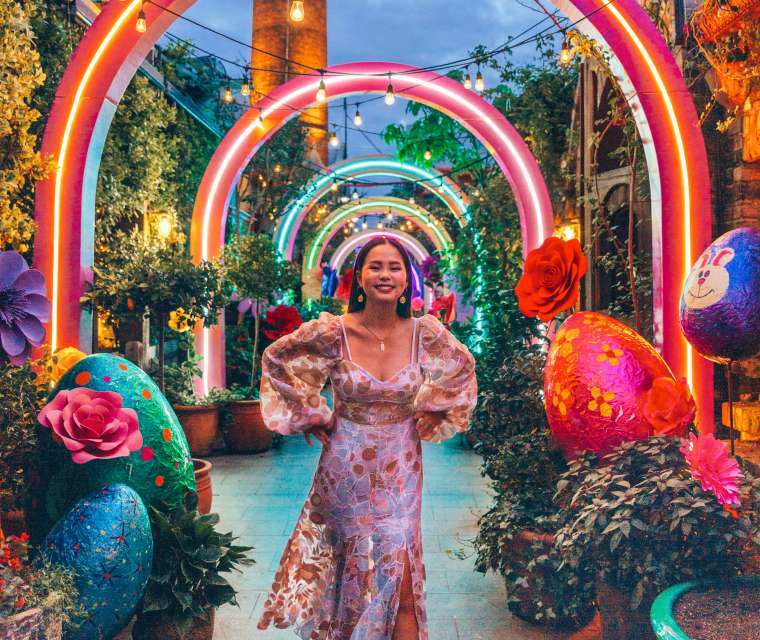 The Pavilions in Bali is part of a collection of boutique luxury hotels around the world, and this resort truly didn’t disappoint! 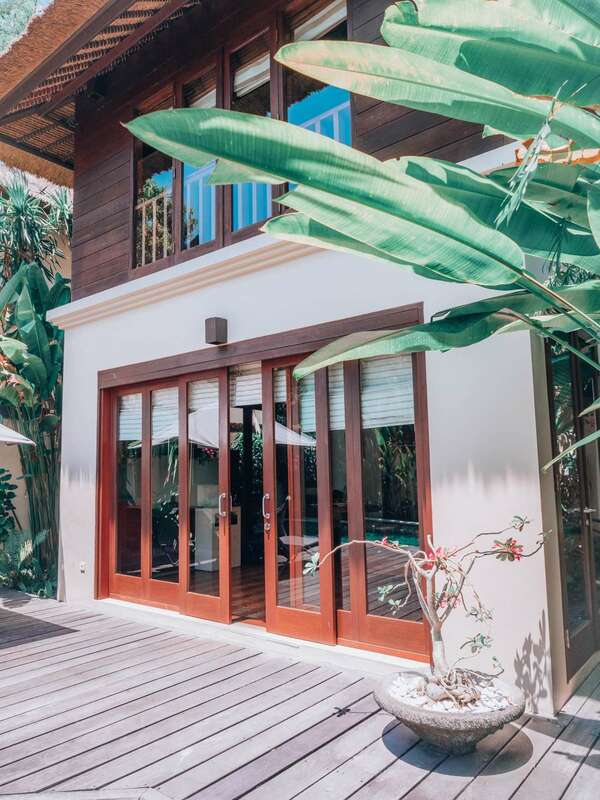 There are a total of 25 spacious villas around the property, each uniquely designed to reflect traditional Balinese decor and living. 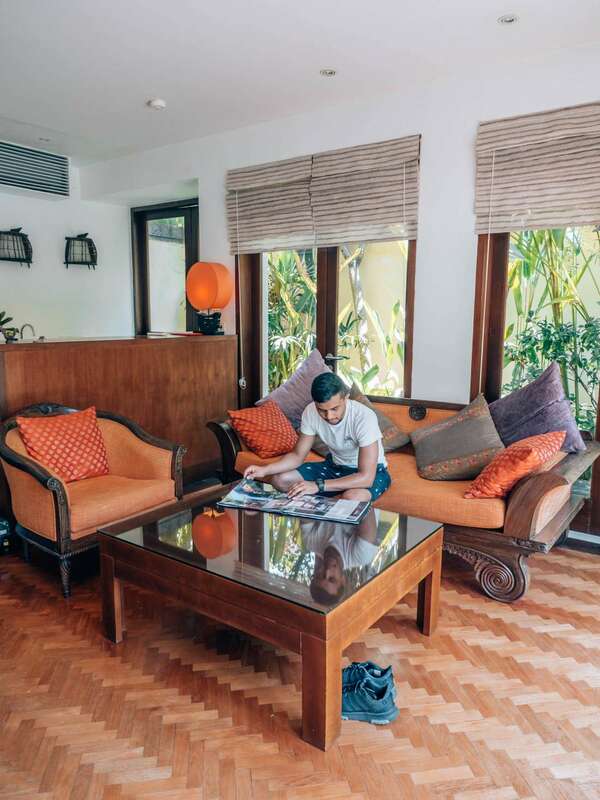 The villas are serviced by an experienced Butler team, who looks after the in-villa breakfast and attends to any needs you may have throughout your stay. The Pavilions Bali also have a range of recreational activities you can experience, including a spa, the Jahe restaurant, and signature dining experiences for you and that special someone. I found that the resort itself was like stepping into a tropical garden oasis. There were plants and trees in almost every corner, so it made for perfect afternoon strolls. The resort is also very quiet – we hardly ever experienced the loudness even though we were located in the heart of Sanur. A thing I found to be great during my stay is that there were always 2 security guards stationed outside reception to make sure there’s no funny business happening within the property – although nothing happened, it’s very reassuring knowing that you’re being protected no matter what! When we arrived at The Pavilions, our luggage was taken away by the kind reception staff and we were quickly shown to our room which was the Honeymoon Pool Villa. The Honeymoon Villa features your very own private outdoor pool, with an upper floor bedroom and a spacious bathroom – complete with your very own deep tub. Walking in, I noticed that they had put a personal touch onto the villa doors – they had ‘Villa Ly’ written on the door to indicate which was mine, it’s the little details that make the biggest difference! I was blown away by the size and grandeur of the villa. The space has an open floor plan with ceiling to floor windows that allow natural light to peek in. 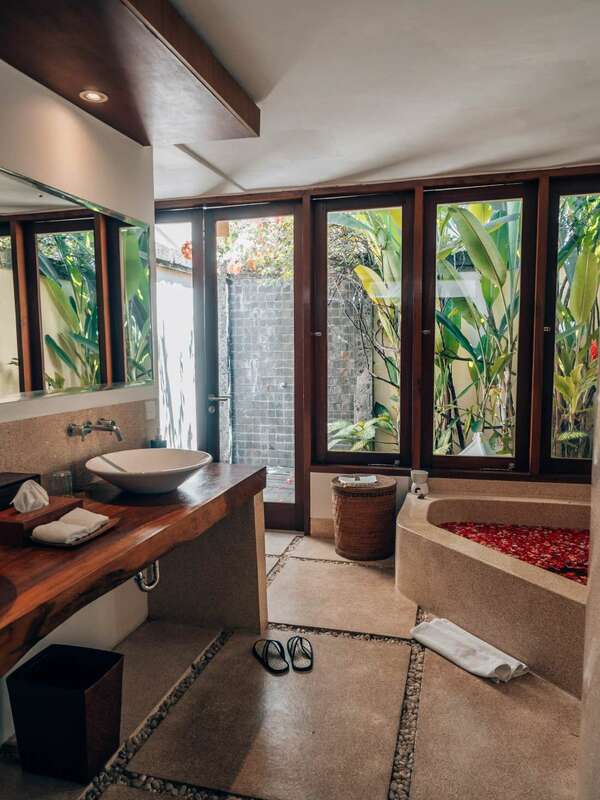 I especially loved the bathroom not only because it was HUGE, but the villa also came with an outdoor shower that makes you feel closer to nature! 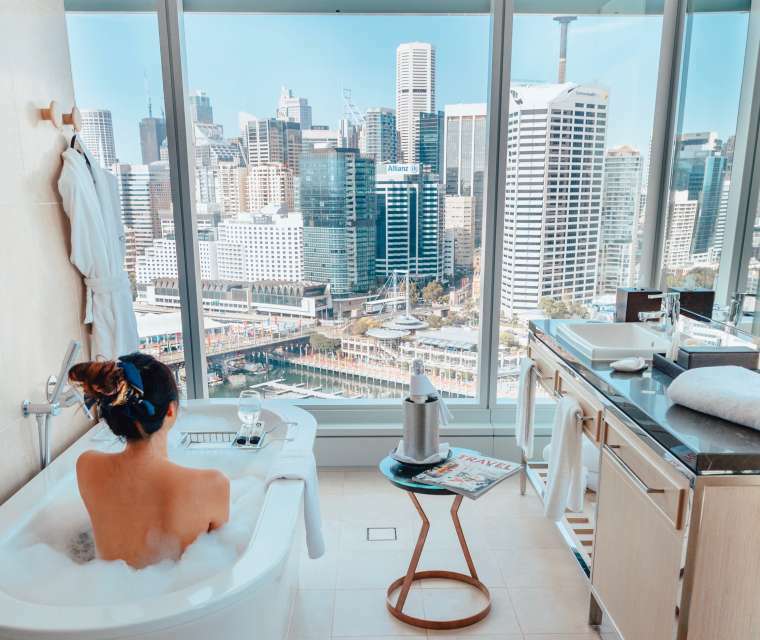 As a welcome gift, the lovely team also filled our bathtub with hundreds of rose petals so we could take a floral bath – something that is really popular in Bali as it is known to refresh you. The bedroom had to be my favourite space of all in the villa. It featured a king sized canopy bed with the tallest ceiling I had ever seen in my life. 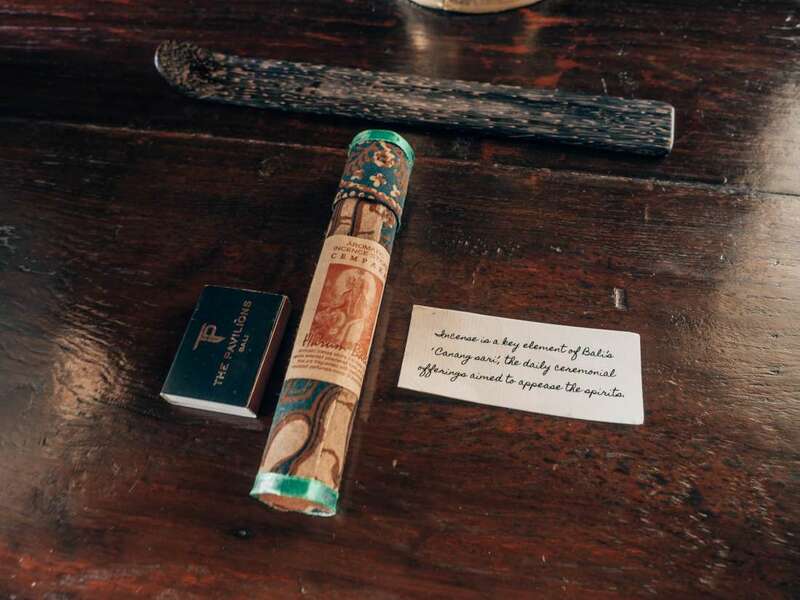 The room was cool and airy, and reminded me so much of traditional Bali with its decor and atmosphere. Facing the bed was a glass door that opened up to the pool and deck area. 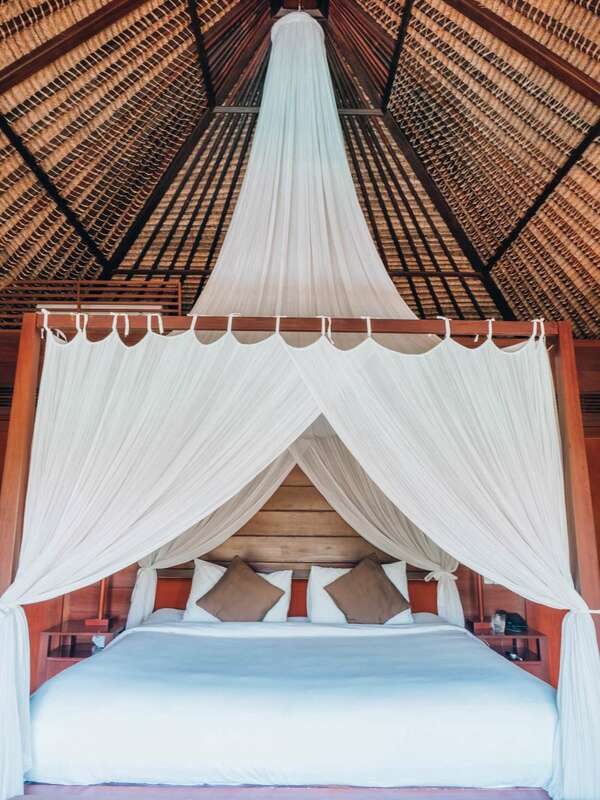 During their nightly turn down service, the staff at The Pavilions will unravel the canopy nets, light mosquito coils outside of the villa, and light incense inside the villa for an earthy ambience. They also left us really cute messages describing the different smells and sensations that they had left us which I actually ended up keeping with me! 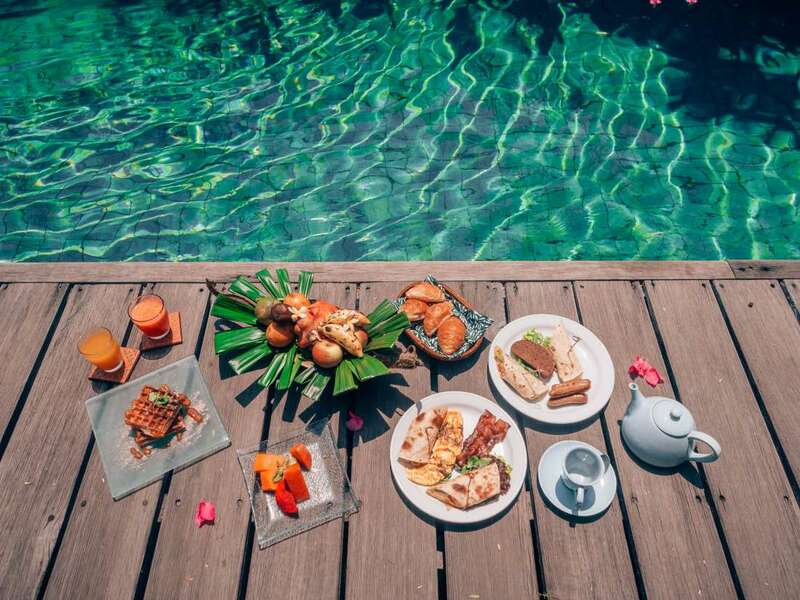 We got to enjoy daily in-villa breakfast during our stay at The Pavilions. Every night we had to fill in a breakfast form which included more than 20+ options we could choose from, from savoury to sweets, and from teas and juices. What I loved about the breakfast is that there is an unlimited selection, meaning you can get as little or as much as you want for no extra cost! This was good as Shad and I love trying out new things so we got to experiment every day with different orders. Like I mentioned earlier, your butler will bring breakfast to you everyday at your chosen time between 7am – 11am. We decided to spend our first breakfast outside enjoying the sunshine, so we asked him if he could place it out on the deck. To my surprise, he had brought the tray of food to the kitchen area, and started plating all the food for us there! It was great to see this personal level of service, and at that moment I had certainly felt like we were being treated as 5 star guests. After plating all the food, our butler even arranged the breakfast nicely for us and made sure we were happy with the breakfast before he left. The breakfast tasted delicious (get the bacon and sausages!) and we certainly didn’t feel too full afterwards as we were hanging by the pool area. I had never had a poolside breakfast before in my life so this was definitely a new but amazing experience for me to check off my list. One of the things I was most excited about with staying at The Pavilions was their signature dining experiences. 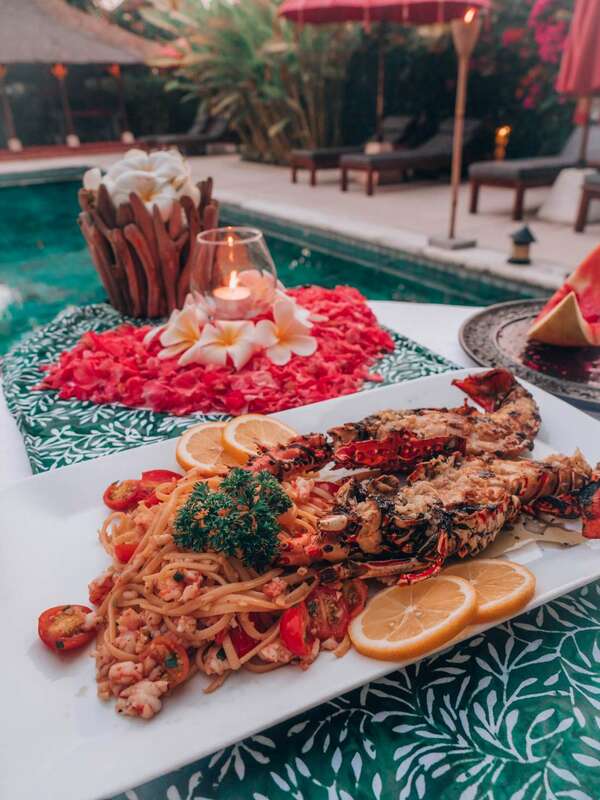 They offer a variety of romantic dining such as a chef’s menu at The Jahe, private in-villa dining or their latest experience, the Moonlight dinner. Shad and I decided to try the Moonlight dinner as it was fairly new but it sounded like a dream. Surely enough, we were whisked away to the main pool which was privatised just for us! We got to enjoy the tranquility of the area with not a person in sight. The main pool was decorated with floating flowers in the shape of a love heart whereas our table was surrounded by petals and lanterns which looked beautiful during sunset. We were treated to a fantastic 3 course meal whilst watching the sky change from blue to yellow. A refreshing watermelon and feta salad to start, followed by a lobster linguine and then finishing off with a coconut cream tart. The lobster linguine was probably one of the best lobster pastas I have ever had. Full of flavour and the portion was just perfect. Neither one of us got too full and we still got to enjoy dessert right after. The moonlight dinner will remain at the top of our list for one of the most romantic things we’ve ever done, nothing but just each other’s company and the work of an amazing team behind it! The Pavilions is definitely a place to visit to get away from the city life of Seminyak. 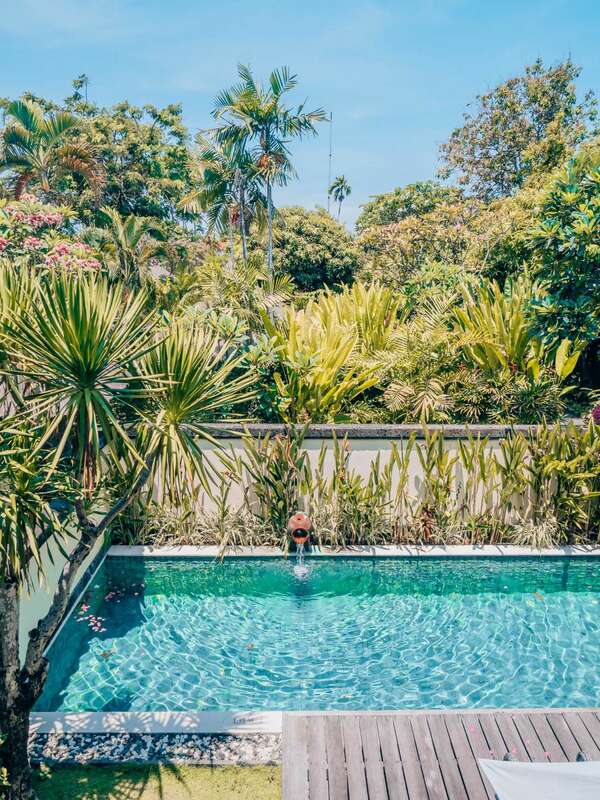 It’s located 5 mins away from the beach, but if that’s not your thing, then the villa itself offers everything you would expect from a luxury resort in Bali. From the traditional decor, to the tropical plantations, it was overall a very beautiful stay with amazing service and delicious food!